CA LA MARIA is a boutique bed and breakfast in Barcelona which was borned by mixing different experiences: the contemporary art, the availability of two floors on the Eixample and the high quality cookery. CA LA MARIA is located on the first floor of a 1920 Eixample district building in còrsega street. 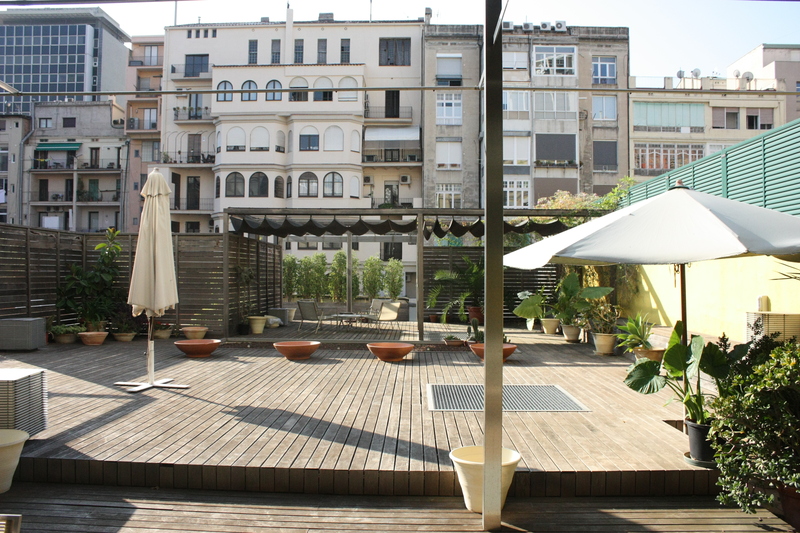 It offers a real good location, near to public transport, green and blue lines with Diagonal stop and the Ferrocarrils de la Generalitat with stop on Provença. By walking 5 minutes you can arrive to the emblematic building of la Pedrera, or 10 minutes walking till Casa Batlló and 15 minutes to Plaza Cataluña. This bourgeois modernised building it used to be a residential building. It is composed by 5 bedrooms and it has a 750m2 terrace on the interior courtyard.